Today I thought I'd share a super fun part of Influence Conference and that is playing dress up. As a mama who is sick and in her first trimester ok and usually when I'm perfectly healthy too I find myself in yoga pants and a tshirt. A lot. Granted, they are Victoria's Secret Yoga Pants.. but that's not fooling anyone. Although this was in no way a requirement and in no way at the heart of the conference but it was FUN FUN FUN. So since I know you are literally dying to see all the ways I belted it here are my Influence Conference outfits.. and the bag I carried for good measure! Hope y'all have a fashionable fabulous weekend! Love your outfits!!! You look great!!! You're so cute! 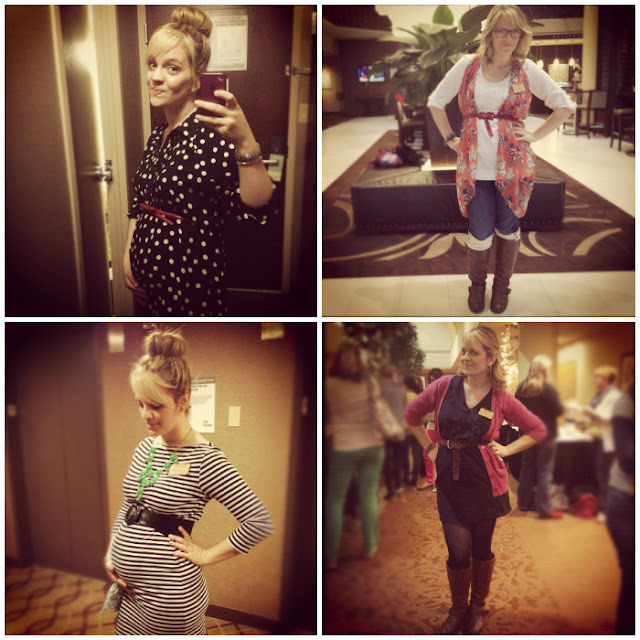 I LOVED all of your outfits at the conference! Super cute! Is that a sock bun that you did for the stripes party? I can never get them right but it looks AMAZING on you. the belt makes a pregnant belly look even cute. i will have to try that trick this time around. You are adorable. I wish I looked half as fashionable while pregnant! Looking absolutely adorable and academic, Bon! :) Love it! Oh my gosh, every outfit is so super adorable! I love the stripes party dress and belt. Love, love, looooove the stripes!! Super cute! You are so stinkin' cute! So glad you got to get out and dress up for a weekend. Isn't it funny how dressing up just a little changes your whole attitude? And you definitely rock that top bun. Love it. Where do you find your cute belts?! love that last outfit the best. you look great! Oh girl you look absolutely adorable!!! You are just so darling. Seriously. LOVE the scarf as a vest idea! The stripes is from target and the polka dot is just a shirt! I love your cute little bun and your outfits were so fun! 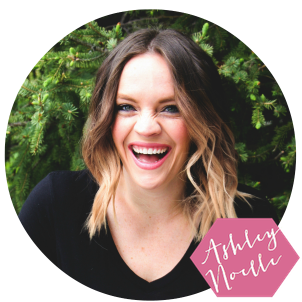 I am new to blogging and have heard the influence conference talked about alot lately! I hope to make it next year, sounds like a blessed time. I like that you mentioned that you are seeing its ok to see your blog as a business, a brand and an income source. It's good to hear others say that, as I wonder about this myself. LOVE the polka dot dress with the red belt. I hope I look as cute as you when i finally get pregnant! !